If you’re thinking about door options for your warehouse, let us stop you right there and give you the best option; roll-up doors! 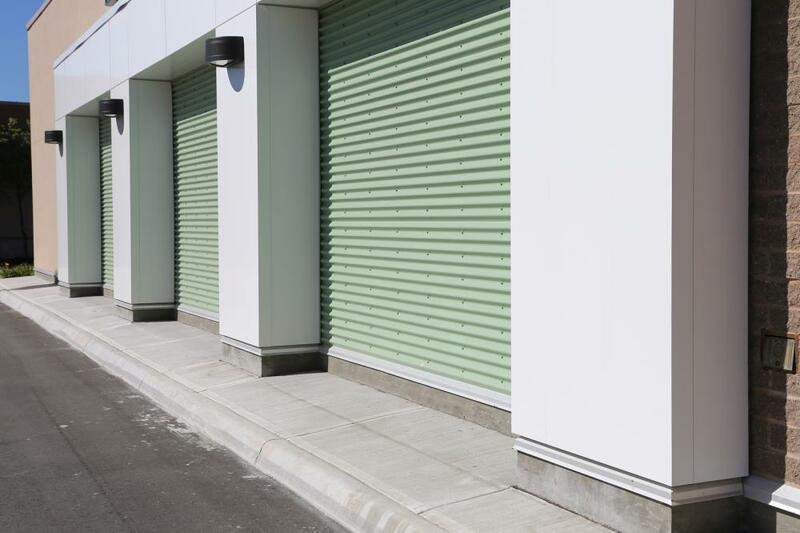 Compared to various other options that you may have for your commercial warehouse, roll-up doors are not only much easier to clean, but they can be easily handled and are more durable than other doors. Apt for most commercial properties, roll-up garage doors can also be used for urban projects as well such as store-rental facilities and condominiums. However, their use for warehouses far exceeds that of any other doors, especially if you consider their various advantages. The mechanism of roll-up doors allows you to operate them with a smooth, fluid motion, making it easy to open and close manually. The reason behind this easy fluid action is the spring mechanism which is used in every roll-up door to aid the manual lifting and lowering of the door. Because of the factor stated above, these doors are also a great option if you want to attach an automated opener. Thanks to their relatively low resistance, they don’t require a heavy-duty opener. So if you prefer to not open your warehouse doors manually, this option may come in quite handy. Roll-up doors literally do “roll-up”, meaning that you won’t have part of the door running along the internal space of your roof. The roll-up door fits just above your door aperture, giving you enough space to comfortably adjust a taller vehicle in, especially if you want to keep it inside the warehouse. Because of the materials used to manufacture these roll-up commercial doors, they prove to be extremely durable, especially if you live in extreme weather conditions. Most roll-up doors usually come with insulation material between their skins, making them a viable option. In addition, since most roll-up doors come with a rubber seal at the bottom, you can also benefit from their water resisting properties thanks to their tight closure. If you need a warehouse door that would be weatherproof, space-effective and easy to use, a roll-up option would be your best choice. And with Austin Doors as your supplier for door installation, repair and other services in the San Diego County, you won’t have to worry about a thing. Want to know more about your door options? Contact us today to find out!